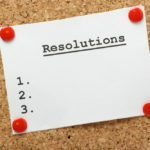 Now that we’ve all triumphantly eaten and drank our way into 2018, it may be time to start thinking of some simple small New Years resolutions. The 1st of January would just be too early to deal with this type of positive thinking. Now, we’re not going to tell you to cut down on sugar and chocolate, this is more practical and focused on things that you can achieve by building a new habit. Walking Simple. Just go for a walk 3 times a week for at least 20 minutes or so. 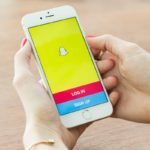 Not only is it go..
Over the past few years, Snapchat has become one of the most common apps that you’ll find on a modern day smartphone. There’s no doubting that the image and multimedia messaging app is packed full of awesome features. Even though many of us use Snapchat every day, there are lots of cool things you probably haven’t discovered yet. If you’re wondering how your Snapchat friends have gotten so damn creative, well wonder no more, because we’re here to teach you how to be.. 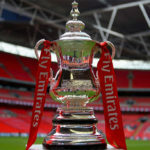 So after weeks of being spoiled with game after game of Premier League action, we now find ourselves with even more football to tuck into this weekend, with the return of the FA Cup. ACCAs at the ready lads! Yes, the world’s oldest cup competition has lost some of its lustre over the last decade or so, but traditionally the 3rd round of the cup is the most exciting round of the competition due to the chance of a famous cup upset potentially taking place. What you’ll most likely find before ..
You guessed it, it’s that time of year once again – the unavoidable January blues have arrived. With Christmas now only a fading memory and the New Year in full swing, the celebrations have nearly come to an end. If spirits are low this month, a great cure can be found in the capital with some cracking shows on the way. 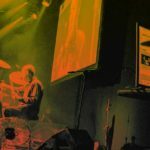 There are fantastic gigs in Dublin this January, including a huge tribute show in Whelan’s and some great local names ready to entertain. So if you still can’t decide..